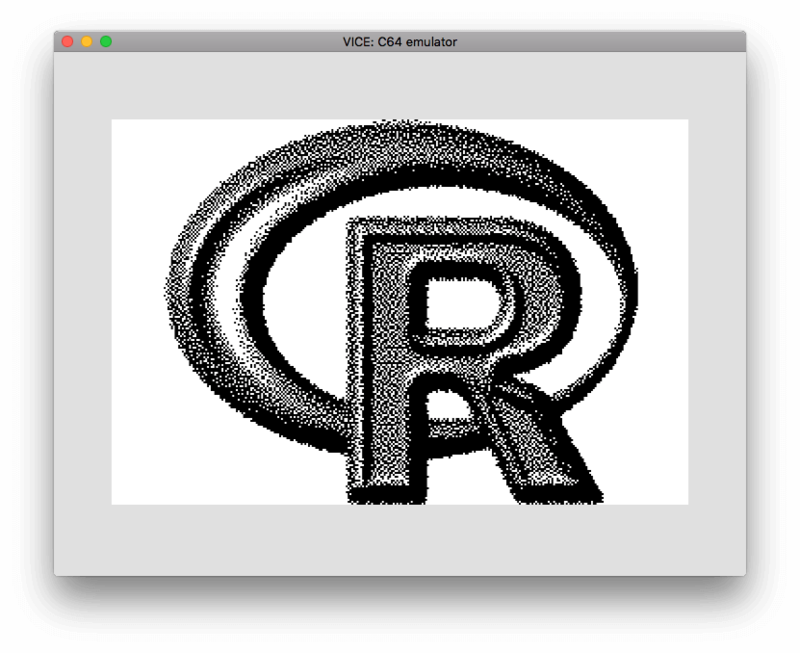 generate a 320x200 hires R logo in bitmap form suitable for the c64. incorporate those bytes into an R program using the r64 package and the R-specific .rbyte directive. 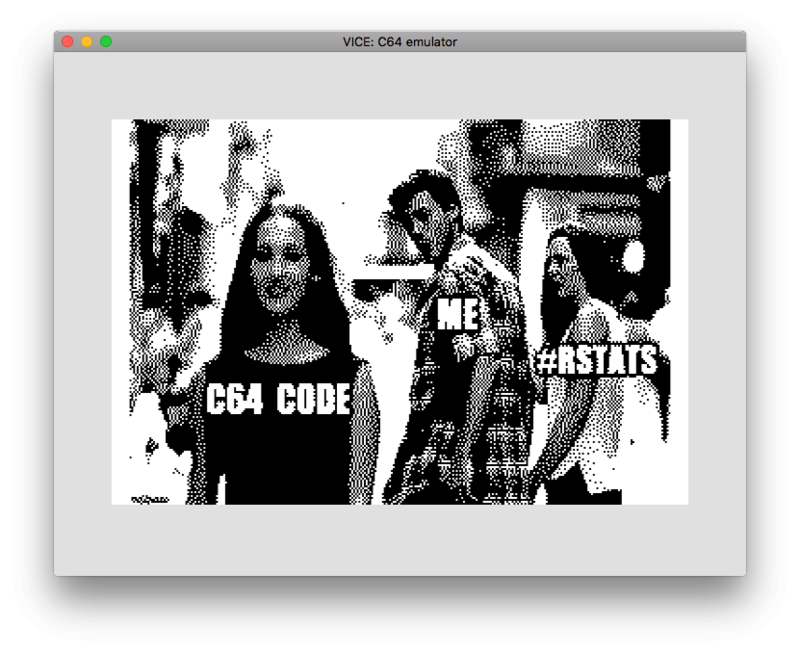 compile the code and run it in an emulator (VICE). 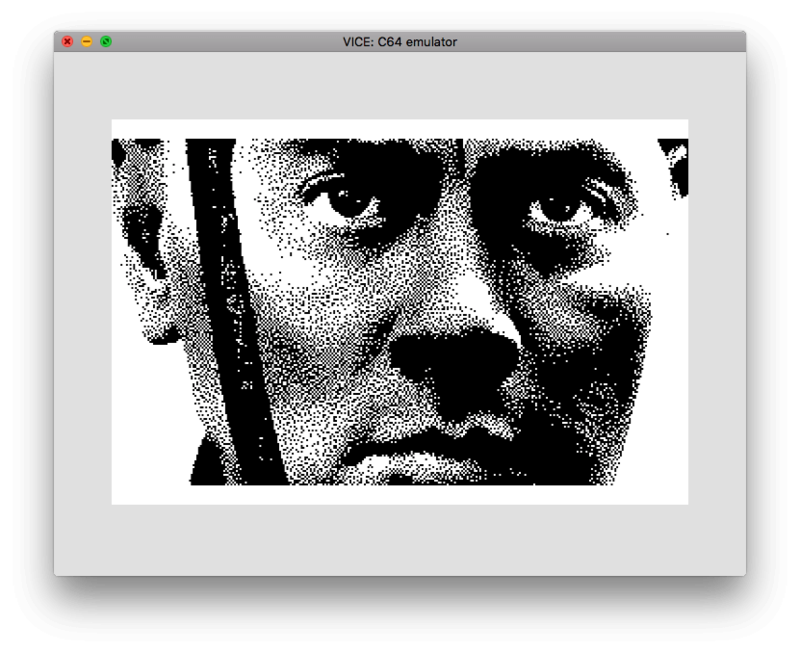 monochrome <- "-colors 2 -colorspace gray -normalize"
# Convert a row of a binary matrix into a vector of bytes. # Reorder the bytes to use as a c64 bitmap. # The ordering of a c64 bitmap is unconventional by modern standards! 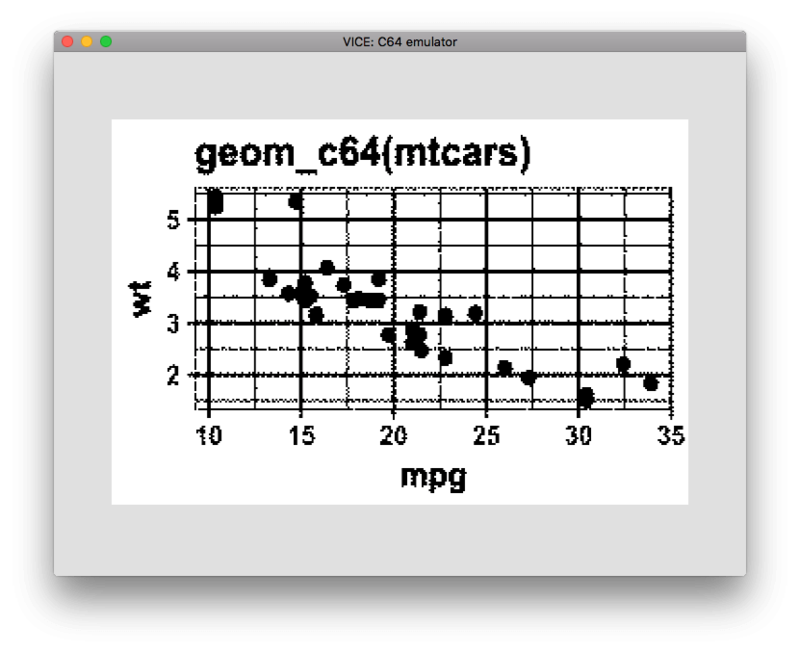 ; Bits 0-3   =>  colour for "0"
; Bits 4-7   =>  colour for "1"
; Include the bitmap data where the VICII will find it.